Antarctica Travel Centre specialises in small-ship travel to the Antarctic Peninsula, the Falkland Islands and South Georgia. We are the specialist Antarctica arm of the Arctic Travel Centre and South America Travel Centre and will tailor an Antarctica holiday to suit your travel needs. Our Antarctica experts will help you select the right vessel (luxury, expedition or fly-cruise), itinerary and season to ensure your voyage really is a once-in-a-lifetime experience. 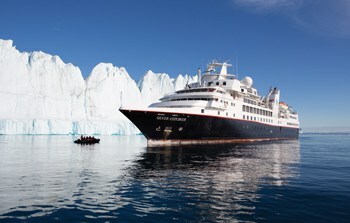 Visit our specialist Antarctica site for cruise itineraries, ship information and departure dates. Setting foot on the Antarctic Peninsula is a bucket list item for many but no one can really prepare themselves for this incredible experience. Enormous tabular icebergs that dwarf the ship will take your breath away. Close encounters with inquisitive penguins, playful seals and breaching whales, create a wildlife experience like no other. Pristine landscapes with crystal clear water and glacier rimmed peaks create a stunning backdrop for any photographer. There are over 100 sites to visit on the Antarctic Peninsula, some more renowned like Deception Island and the Lemaire Channel, others less well known but equally beautiful, like Cierva Cove and Spert Island. 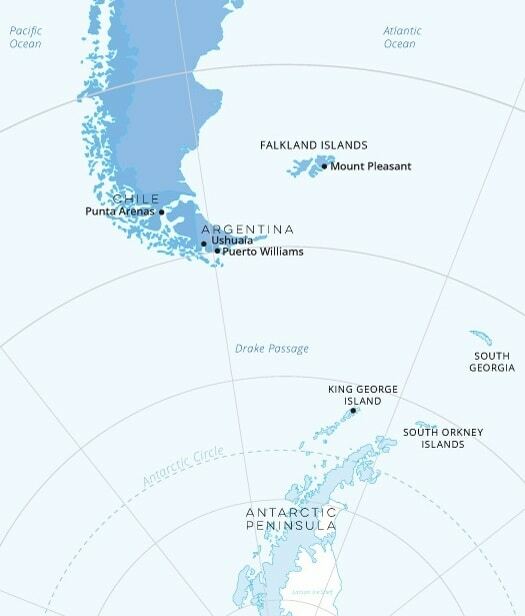 The Peninsula is the most northerly part of the mainland of Antarctica, lying only about 1,000km across the Drake Passage from Tierra del Fuego, South America’s southernmost tip. It is one of the continent’s richest breeding grounds for penguins, seals and seabirds. And to its north-west stretches a 540km-long chain of four groups of volcanic islands that together make up the South Shetlands. South Georgia is one of the most stunning places on earth. This small archipelago rears up from the Southern Ocean to a height of almost 3,000 metres. The rugged landscape forms a dramatic backdrop to the many beaches and coves which are home to millions of penguins and petrels, thousands of elephant and fur seals and hundreds of albatrosses. 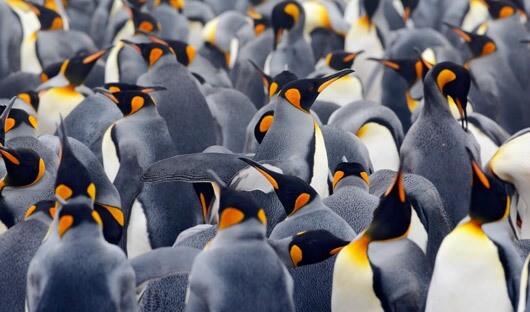 South Georgia is like the Serengeti of the sub-Antarctic islands but instead of wildebeest, there are hundreds of thousands of king penguins. The archipelago is also home to two endemic birds, the South Georgia pipit and pintail. 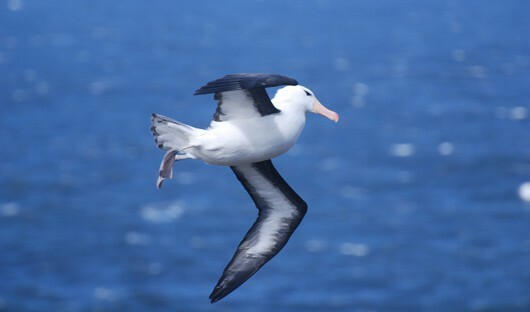 Four species of albatross make South Georgia their home – wandering, grey-headed, light-mantled sooty, and black-browed. A trip to the Falkland Islands will be part of most longer voyages (15 nights or more) and, far more than just a convenient break en route to South Georgia, it can be a highlight of these trips. The birdlife is really quite spectacular, while the rugged landscapes offer some great hikes and excellent photographic opportunities. Add the history of the 1982 Falklands War, referred to locally as ‘the conflict’, and you begin to get an idea of how much interest the Falklands has to offer – particularly when in combination and contrast with both South Georgia and the Antarctic Peninsula. These luxurious ships combine more traditional-style cruising with an Antarctic adventure. 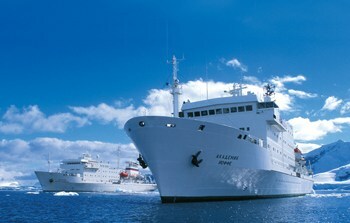 They offer large, very comfortable cabins with en-suite facilities and many have private balconies. The experienced expedition team enable you to explore Antarctica, Falklands Islands and South Georgia with Zodiac dinghies and come home to an exquisite ship with superior comfort and excellent cuisine options. The Expedition ships Akademik Ioffe (96 guests) and Akademik Sergey Vavilov (92 guests) have a greater emphasis on maximising time off the vessel or out on deck. The expedition team works closely with the ship’s captain and crew to get you out exploring on the Zodiac dinghies and on shore as much as possible. Most voyages also offer kayaking. Cabins are simple and comfortable, the food excellent. The ships are stable, fast and manoeuvrable. 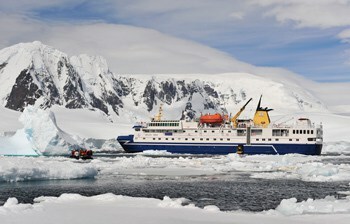 Fly-Cruise voyages afford two major objectives; they avoid lengthy sea crossings and dependent upon operator can also realise more time in Antarctica, the Falkland Island or South Georgia than a ship that cruises all the way. A flight takes you from Punta Arenas in Chile to King George Island (the largest of the South Shetland Islands, close to the Antarctic Peninsula) or to Mount Pleasant on the Falkland Islands where you board your ship. 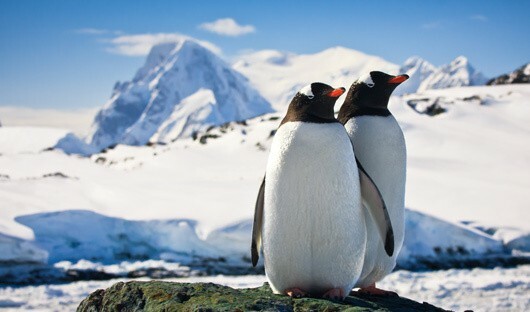 For Antarctic Peninsula only voyages the flight also affords a visit to Antarctica in a shorter period of time.